On Saturday I went along to The Baby Show in Birmingham for the first time. I’m not sure what I was looking forward to more; being able to shop for everything we needed for our new baby in one place, or having a toddler-free day with Husband. It was 9am by the time we said goodbye to my in laws and hit the road. Birmingham was quite a drive from our house but it gave us a good chance to go through our shopping list on the way. We had a quick coffee stop and called home to check that everything was ok. It turned out T1 had got hold of the phone and called 999 just after we’d left. My in laws didn’t know a thing about it until the Police turned up on the doorstep asking what the emergency was! I tried not to panic and worry what else was going to happen while we were away. My worries were forgotten once we arrived at the NEC. We found it was really well sign posted and we were directed straight to an empty parking bay by the staff. We didn’t bother with the shuttle bus running around the car parks as it wasn’t that far to walk, although if we’d had the boys with us it would be have been really useful. 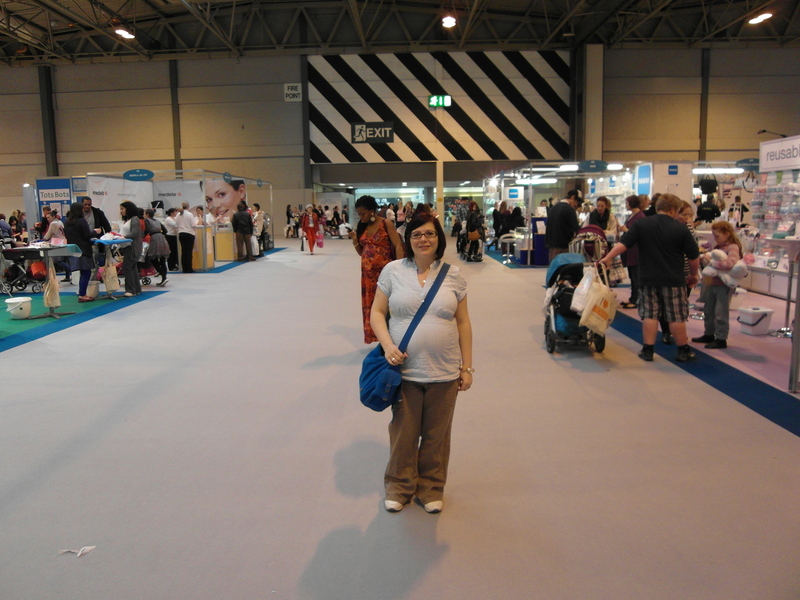 The Baby Show took up three halls, and walking into it at lunchtime was daunting – I wasn’t quite sure where to begin! We began meandering up and down the aisles looking at the stands. Husband has an obsession with prams so I had to keep tugging him away from the huge range of buggies available to test drive as he would have happily been there all day. If you’re expecting your first baby then The Baby Show is an amazing place to come to buy everything. Prices are competitive as the exhibitors run special show offers, and you have the experts on hand to give you advice so you don’t have to rely on badly informed shop assistants. It was great seeing stores like Mothercare and Marks and Spencer alongside specialist brands. I’m a huge fan of SnoozeShade and was able to check out their range of single buggy and car seat black-out blinds. I reviewed their twin SnoozeShade last year and loved it so I knew I’d need a single version ready for my new baby. I was very excited to see a prototype of a new toilet seat on the Pourty stand, as I’ve recently bought two Pourty potties ready for potty training the boys. Unfortunately for me, the adjustable toilet seat – which snugly fits to any toilet without moving around like the one we have does – isn’t going to be released until September and I’m hoping the boys will be throughly potty trained by then *crosses fingers*. I got a demo from the CuddleDry team about how their super-soft, inventive towel works to keep you dry when bathing your little ones – something I could definitely do with! I was also able to try on lots of slings and carriers which is something I really want to get right this time (the one I bought when the boys were born didn’t work for us, but this time with two toddlers and a dog to chase I feel a sling is an essential piece of kit). I particularly loved the Caboo – both Husband and I tried it on and even he was a convert after our bad sling experience last time round. It was lovely meeting The Gro Company team so I could tell them what a difference the GroClock has made to our lives since we got one for Christmas (we even bought a few of their swaddle blankets ready for the baby as we’ll use those until it is big enough to fit into the GroBags we have stored away from last time round). 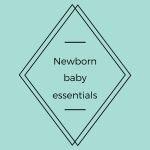 Even if you already have a baby there is still plenty to look at, from swimming lessons to toys, and I haven’t even mentioned the programme of talks that took place through the day including sleep experts and weaning advice from leading figures. We left after almost five hours of shopping – broken up with lots of food and drink breaks to give me the energy – with arm full of bags and another shopping list of ideas to mull over. ‘Like’ The Baby Show on Facebook (www.facebook.com/TheBabyShow) and follow on @TheBabyShow Twitter so that you’re up to date on the latest developments, special offers and competitions (particularly on the day you go to the show, as they run lots of giveaways in real-time). Take some cash – I heard that some smaller stalls weren’t taking cards for small transactions and the queues at the NEC cashpoints were long (and charge). It’s also useful to be able to buy drinks and snacks. Walk around once and make a note of any big purchases you’re tempted with, then sit down with a coffee and work out what you really need. Use your phone to check the show prices against online prices (I did this and still found the show prices were usually the cheaper thanks to the special offers running on the day). When we got back home, the in laws were as shattered as we were, and thankfully the only casualty was the door of our tv cabinet which had been ripped off (again by T1!) I suspect we’ve used up our babysitting quota for a while as I think 10 hours alone with the boys and an over-excitable puppy was more than enough for them! I was given complimentary tickets to attend The Baby Show in return for an honest review. Glad you had a good time – I definitely want to make it to the next London one. 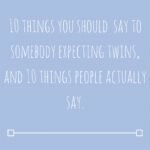 Great tips, thank you – will try to remember them for when I do go. I definitely think writing a list of what you want/need before you go is important too otherwise its very easy to get swayed into buying something you don’t actually need. You can also barter with some of the stalls. I managed to get a deal on 2 cuddle dry towels with little effort (I’m not very good at bartering) when I went after C was born. We still use both our towels now – they are fab!